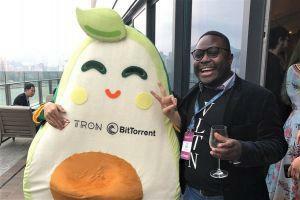 At the Token2049 event in Hong Kong, which ended today, things were far from boring: Estonian crypto exchange DX.Exchange has announced their own security token, while other panelists were looking for the Bitcoin bottom, and the team behind smart contract platform Tron has reportedly sent someone in an avocado costume to troll Vitalik Buterin, co-founder of competing platform Ethereum. Estonia-based digital asset marketplace DX.Exchange announced at the conference that it will begin to list security tokens starting today, March 14th, along with launching their own token, dubbed In Good We Trust (IGWT). The token’s purpose is to showcase the new security token service and help raise funds for the company, which will be restructured into a new entity called DXtech Exchange. They have also announced that 18 million IGWT tokens will be sold in a private sale, with 10% of the exchange’s profits to be regularly distributed to the token holders. There will be no minimum investment amount. A panel, titled “Crypto Analysts: When Moon?” called out new bottoms – reportedly as low as USD 1,300 for Bitcoin. 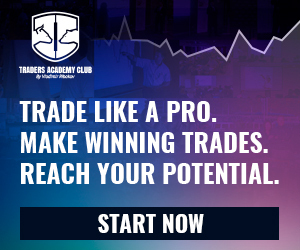 According to tweets from the event, popular cryptocurrency analyst Murad Mahmudov and Arjun Balaji, an independent blockchain researcher, see the Bitcoin bottom in the USD 2,000 – USD 2,500 range by the end of summer 2019, while another crypto analyst and trader Tone Vays is the one to go as low as USD 1,300. However, at least Mahmudov and Balaji are reportedly more optimistic about 2020. Bitcoin is one thing, but the panelists do not hold much love for Ethereum, having unanimously indicated that they consider ETH’s current price of around USD 130 to be overpriced. Global investment app Abra announced at the event that it has expanded support for the Ethereum platform by integrating the platform’s native coin, ETH. Users are now able to deposit, invest, and withdraw ether directly from the Abra app. Interestingly, ETH was previously available on Abra as a synthetic asset, meaning that users had exposure to the price movements of ether and could only make deposits into the Abra app via a US-based bank account, American Express card, Bitcoin, Bitcoin Cash or Litecoin. The community, for the most part, does not consider this funny.